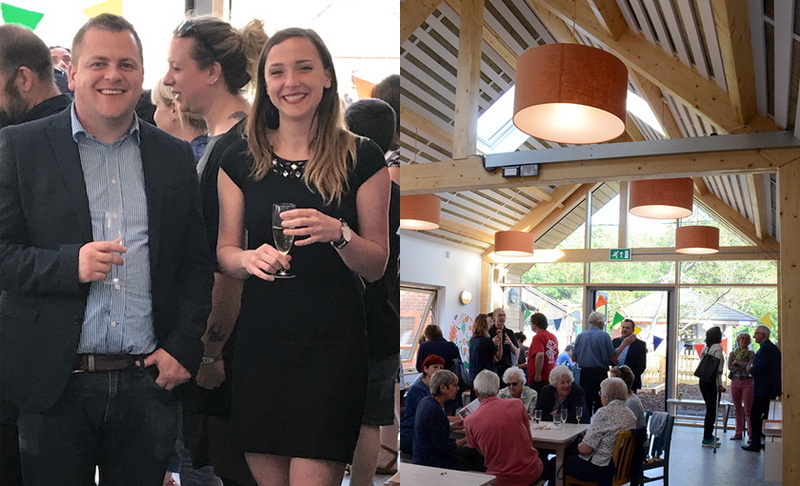 Members of the community, local dignitaries and representatives from Childs+Sulzmann Architects all joined a celebration recently to mark the official opening of the extended and refurbished facilities at Windmill Hill City Farm. The community farm is a much loved Bristol institution that has been so successful over recent years that the trustees decided it was time to grow. They wanted to provide a larger, more modern, facility that increased the farm’s capacity to educate people about food, farming and the environment and to develop their reputation for good organic food. Childs+Sulzmann’s designs maintain the ethos and context of the farm by making substantial use of natural materials and include a wide range of sustainable features.